This is an unofficial copy of Town documents and does not legally bind the Town in any manner. This web version of the information is made available for reference purposes only; it may not reflect recent changes and should not be used for any official purpose. 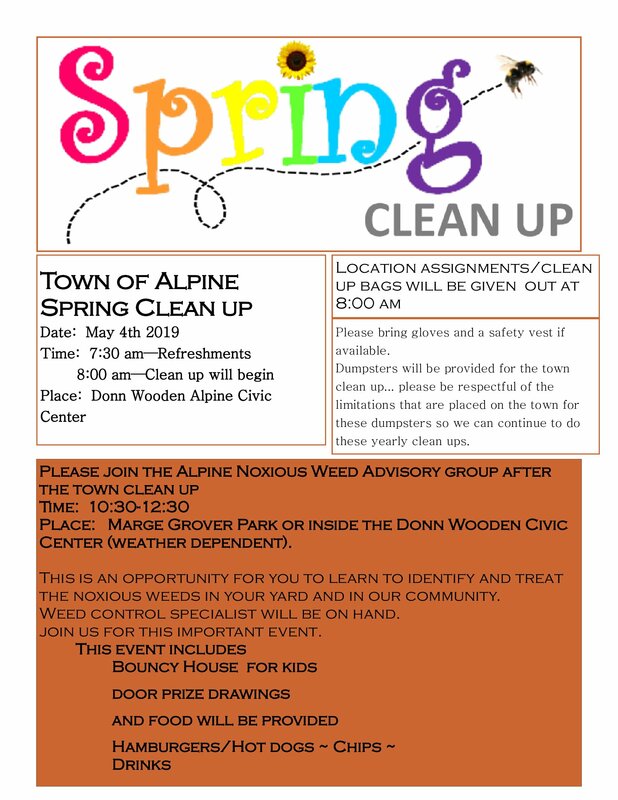 For an official copy of any Town information and/or documents, please contact the Town of Alpine Office at (307) 654-7757. $26.00 for 13 bingo cards Food can be purchased at this event…. Come Join Us in the FUN! Copyright © Town of Alpine | All Rights Reserved.